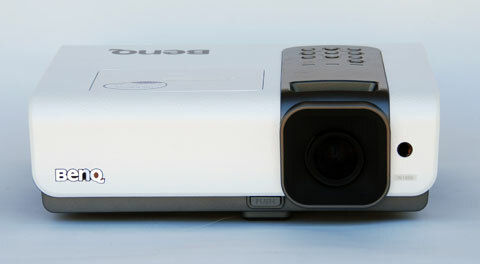 The W1000 is BenQ's entry level 1080p home theater offering: a 1080p DLP projector that costs less than $1000 at retail. It has precalibrated modes suitable for a wide variety of uses, from HD sports in a well-lit living room to home cinema in a darkened theater. While the user interface is sometimes hard to work with, and the cinema modes require some fine-tuning to look their best, the W1000 is a strong performer and a great choice for a first projector. Light output. The W1000's light output can be changed drastically depending on the room environment and intended use. In its brightest modes, it is good for HD sports or some video games, while its more balanced modes are great for film. The W1000 is rated at 2,000 lumens, and our test sample measured a very bright 1917 lumens in Dynamic mode. Dynamic mode has a strong green bias, which may or may not be suitable depending on the type of material you are viewing. If you want a bright picture without quite as much of a green tint, you can use Standard mode, which measured 1373 lumens. This mode also has better contrast than does Dynamic mode, making images and film appear more vivid and three-dimensional. The third preset option, Cinema mode, measured 1211 lumens. Cinema mode was, despite the name, not particularly well suited for cinema use, due to the fact that BrilliantColor is enabled by default. Our preferred calibration, which used Cinema as a baseline, measured out to 525 lumens in high lamp mode. This does not sound like a lot, especially compared to the screaming 2000 lumens of Dynamic, but the image is much better balanced, with good contrast and accurate color. It is not unusual for home theater projectors to put out around 500 lumens in video optimized mode. Our settings for this mode are provided below. BrilliantColor has its advantages in some situations. Enabling BrilliantColor will give you more than double the lumens to play with, allowing the use of larger screens or an increase in ambient room lighting. On the other hand, the picture looks more natural and balanced with BrilliantColor disabled, but it cuts lumen output drastically. Which setting you prefer is a matter of application. If you're watching sports in a well-lit room, use BrilliantColor. If you're watching movies in the dark, turn it off. Contrast. The W1000 is rated at 4000:1 on/off contrast, which at the moment is typical for a sub-$1000 1080p projector. However, calibration is very important in helping the W1000 to realize its full potential, and at its defaults it does not look nearly as dynamic as some of its competition. With a little fine-tuning, such as the settings suggested above, it can easily hold its own against the competition. Thanks for a to-the-point review of the W1000. I thank you especially for the suggested user preset. The W1000 is my first projector, and the world of calibration has yet to reveal itself to me. I am aware different projectors might produce slightly different pictures, but your preset gives me a starting point. And it is actually possible to change the volume on the internal speaker; it is actually louder in my opinion than many reviewers give it credit for. As it is my first projector I have very little to compare it to, but I'm blown away but the quality of blu-ray pictures on my 106" Grandview screen. I'm very happy with the small form factor and white color of the W1000. It's hidden away on a shelf above the sofa, and most people visiting don't notice it. This is one of the few reviews that doesn't comment on fan noise. Particularly in comparison to its peers, the Optoma HD20 & the Vivitek H1080FD, whose reviews included this information. Can anyone enlighten us? I recently purchased the W1000 after owning an Optoma HD70....It's a fantastic upgrade..It is quite bright, looks sharp, and overall puts out a great picture for movies and just general TV. The fan is extremely quiet and I don't even hear it. Compared to the noisy HD-70 it is a pleasure. I love the projector and would recommend it for movie and TV viewing. While the menus can sometimes be daunting, it does have a very extensive set of adjustments, which is very unusual for such an inexpensive product. This flexibility allows the user to dial in a very impressive looking picture. 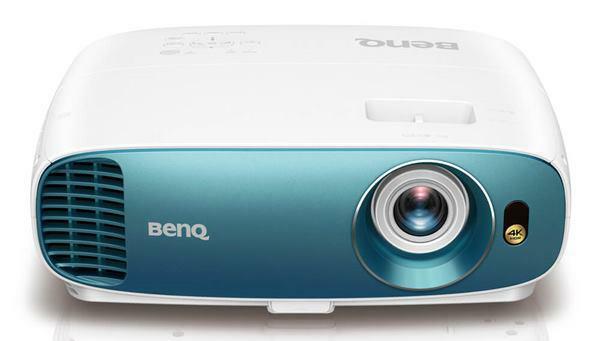 If you are looking for a new projector, and price is an object, the Benq W1000 is a winner. I owned this projector for 50 hours and took it back because of tanned/orange faces which could not be corrected plus visual noise with certain colors. The brightness was incredible and i was almost willing to accept its faults but in the end i got the mitsubishi hc3800 which is not as bright but has accurate and vivd colors. I’ve had a few problems with this projector. First one might be a problem with my receiver and or video card, switching between my Xbox 360 and the computer results in a loss of video signal. I worked around this problem by plugging the computer into the second hdmi port. Switching between dvd, xbox and tv works fine. The second problem I have encountered is with powering up the unit. Sometimes when I turn it on it doesn’t fire up right away, the lamp indicator light comes on “amber” and the power light flashes “amber”, after a few seconds it fires up and I have no problems. I am also unable to manually adjust the color/tint/sharpness under the user modes. I’m taking it into a service center this week before the lamp warranty runs out. The rainbow effect is a big issue for this projector, but I get used to it fairly quickly and is one of the sacrifices made by going with an inexpensive projector. i am currently building out my basement and am prewiring the projector tube before drywalling for a cieling mount. I have looked in several places for Ideal "throw distance" and have yet to find anything of real substance. Can anyone recomend an "ideal" throw distance for this machine? Your help you be greatly appreciated. Love this projector! Had it for a few months now, upgraded from a native SVGA to 1080p for optimal BlueRay performance. This projector looks great, is very quiet, and the picture is awesome (have it connected to a Harman Kardon theatre system with a Samsung BlueRay player and Xbox 360, all connections are HDMI cables. Projecting against blank wall.) The backlit RC adds to the great experience. Very happy overall, no regrets! I am the happy owner of a W1000 and I am impressed from the picture quality. I think that the value for money is great and it is nice to note that there might be better (and much more expensive) projectors out there, but my BenQ W1000 leaves nothing more to be desired. I just enjoy my movies or my games. I would also like to add two points regarding the review: 1) The projector has volume control. You can see this at the picture of the remote control, at the bottom left there are VOL+ & VOL- buttons. 2) The projector has color management. You can make adjustments in Hue & Saturation for 6 colors (RGBCMY) individually. Plus, it has Clarity Control adjustments, so I find the color adjustment rather powerful & complete. Just received my projector and works well overall. I did place a universal mount and one of the screws broke off because the threads didn't appear to be standard. For throw distance - depends on your screen size. I have a 120 inch wide scree 4:3 and had to move it back to about 16 feet to fill the screen. Just do the math on the throw depending on your screen and you should be good. I waited till I received the projector before I chose the final location to mount during finishing my basement. Glad I did as I thought I needed to be at 15 feet for my screen - I was off by a foot and it didn't fill the screen. Now I'm good to go. All the qaulities i read are very interesting, how will i pay and have this projeector [BenQ W1000 1080p] from Nigeria.Good things are good for those who knows their value. I have had a BenQ PE 7700 for over 4 years, but would like to go to HD 1080p projector and am impressed with all I have read about the BenQ W1000. My primary question si do I have to replace the ceiling mount or will it adapt to the W 1000? Also while I think this is a given, I read no where that the W 1000 when mounted upside down has the capability to right the projection. I have a W1000 and I am very happy with it. I have a simple question. I am looking at buying a screen, what's a good size screen if my projector is about 13 feet throw. Let me know if you guys have an opinion? 92 vs. 106 vs. 120?